I've always loved watching the playoffs and championship games in just about every sport, but nothing compares to the World Series. Maybe its the fact I've been so privileged as a St. Louis Cardinals fan to have had a buffet of playoff baseball and even more so, October baseball, to consume during my lifetime. I have so many great Cardinal baseball memories, like Darrell Porter jumping into the open arms of Bruce Sutter, the David Freese triple, Ozzie's home run in 1985 against the Dodgers, and yes, even game 6 of the 1985 World Series (he was safe). After a 100 win season, my Redbirds went a bit cold in the Division Series, but I'll still enjoy watching this year's sans St. Louis Fall Classic. Lorde’s voice over the production work of Disclosure. I’m in! 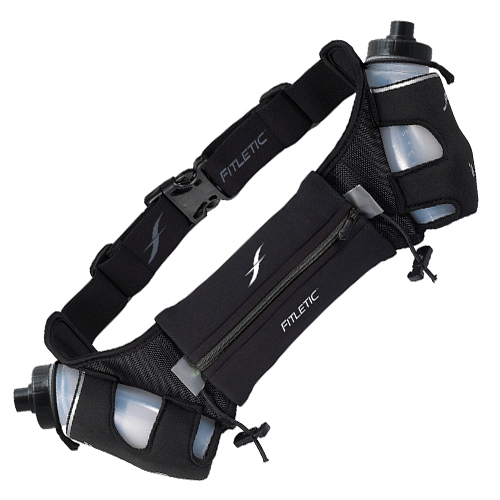 The Fitletic hydration belt is, for me, the perfect companion to runs of up to 10 miles. It’s no secret that hydration is important when exercising and one of my key pieces of running equipment is my hydration belt. If I plan on running for 30 minutes or more, I always wear my 16 oz. Fitletic belt. It holds two eight ounce bottles, and includes a water resistant neoprene zipped pocket that holds most cell phones. The belt also has integrated race bib toggles to secure a bib number and loops to hold gels and other similar nutrition. I prefer belts so I can keep my hands free as I’d rather not have anything weighing my arms down or wasting strength gripping onto a bottle. Overhauling my website was a pretty big effort, especially since I was doing it on my own. After researching different template based platforms, I settled in with Squarespace, which admittedly I was initially turned onto because of their Superbowl commercial. The templates are beautifully designed and after an initial learning curve, are easy and intuitive to customize. Above all, however, it’s their customer service that is amazing. Whenever I have a question, I email their support team and have a response within 15 minutes. I feel like I have my own in-house information technology department. Not only do they answer my question, but they also help with work arounds and alternatives when what I’m trying to accomplish doesn't exactly work with their platform. I highly recommend Squarespace if you are looking to revamp your web presence.